Legal Entity Werner Global Logistics Mexico, S. de R.L. de C.V.
As a global leader in freight forwarding, Werner’s broad portfolio encompasses inland transportation, multimodal capabilities, warehousing and distribution support, customs brokerage, integrated logistics and supply chain management services. Werner offers customers complete global logistics solutions with a single-source point of contact. 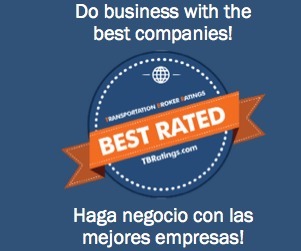 Werner Global Logistics Mexico has been rated as “BEST RATED” company since 2005. We have doing business with them for almost ten years and I can assured that they are very professional and friendly. They pay all their invoices promptly and is a pleasure to do business with them.